''Think profit. Think differently.Think investment, not gambling. Think smart. The right horse in the right race''. His story is a fight as strenuous as the horse which thunders towards the line. 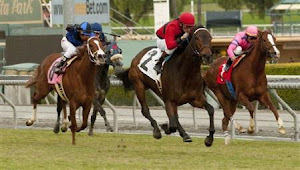 Whether you are a fan of American horse racing or not, take a moment to review Managed Risk. (Recent posts may be read by clicking on the photographs, above).